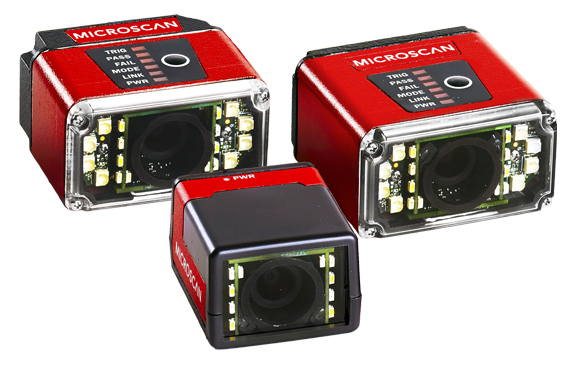 The MicroHAWK® platform offers the most advanced machine vision capability on the world's smallest smart cameras. Built on the highest-performance imaging engine in its class, MicroHAWK cameras are fully-integrated with optics, processor, lighting, and communications, offering an array of modular hardware options to take on any inspection task in three micro form factors. Paired with AutoVISION® simplified machine vision software (for barcode reading plus basic vision tasks like locate, count, presence/absence, OCR, and more) scalable to Visionscape® software for advanced applications, MicroHAWK is unrivaled in the industry for performance in its size, and flexibility to meet variety of application requirements and user experience levels. Choose your software experience from Auto ID+ to complete machine vision inspection, plug and power, and instantly perform out of the box. 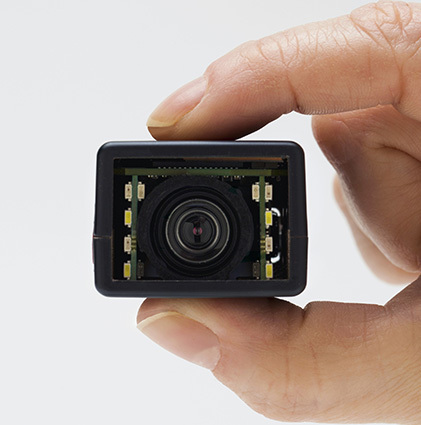 The world’s smallest full-featured and fully-integrated smart camera, MV-20 offers OEMs and engineers a perfect set of value and performance options in a tiny, simple, enclosed solution for embedded designs for traceability and inspection. MV-20 offers a single-cable solution that uses USB for both communication (USB 2.0 High Speed and Ethernet over USB) and power to enable plug-and-play integration. Mini is now micro and incredibly easy to use. A micro-sized smart camera with huge potential, the MV-30 furthers Omron Microscan’s 30+ year legacy of innovative, space-efficient, miniature design with a corner-exit cable and high-density 15-pin connector (offering serial, USB 2.0 High Speed, and Ethernet over USB capabilities) as well as optional liquid lens autofocus. Perfect for OEMs and machine builders, the MV-30 offers the perfect combination of size, performance, and flexible integration. The MV-40 redefines the imaging market as the smallest IP65/67-rated, true-industrial Ethernet smart camera. With the library of Omron Microscan's machine vision tools on board in a rugged, ultra-compact case, the MV-40 is the complete package for solving any vision inspection challenge under any condition. Combining unprecedented ease-of-use, high-speed communication, optional liquid lens autofocus, and ultra-small form factor, the MV-40 sets the benchmark as the ultimate compact machine vision system in the industry. N/A N/A 24 Volt Passive Power over Ethernet (PoE), Type B. Requires passive PoE power supply. 98-9000052-01 KIT, MOUNTING STAND RAM, MS-3, MS-4, MINI, MICROHAWK, 4"
98-9000053-01 KIT, MOUNTING STAND RAM, MS-3, MS-4, MINI, MICROHAWK, 3"
The MicroHAWK family of Barcode Readers offers the most versatile decoding power available within the world's smallest industrial barcode readers. A manufacturer of anti-lock breaks wanted to mark each component in its system with a 2D code and track it throughout the manufacturing process, requiring the use of a high-performance direct part mark reader. A manufacturer of printed circuit board assemblies needed to replace its vision system with a barcode reader that could be easily reconfigured between product line changeovers without the use of a monitor or a PC. At their state-of-the-art manufacturing facility, a new pharmaceutical manufacturer uses Data Matrix to automate the product verification system of their home insulin kits. As part of their quality contrrol process, a leading repackaging facility of pharmaceutical products uses a Data Matrix symbol for product label verification. An electronics manufacturing company needed a 2D reader to verify that the correct components have been placed on printed circuit boards before they are shipped to customers. A leading manufacturer of document processing equipment needed to integrate a Data Matrix reader into their equipment to accommodate customers who use Data Matrix as their control code. 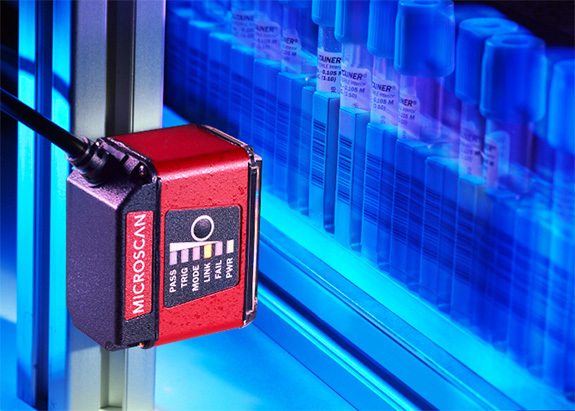 Omron Microscan's X-Mode technology provides industry-leading decode performance on both directly-marked and printed symbols. 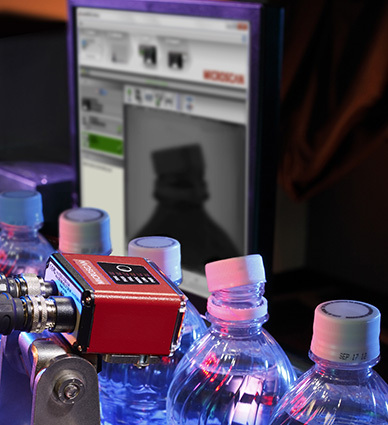 X-Mode decoding algorithms are available on several Omron Microscan platforms from laser barcode scanners to 2D barcode imagers to machine vision cameras and software. In this video, our application support team will show you step-by-step how to get the MicroHAWK ID-40 barcode reader up and running, connected to the PC and run the WebLink configuration interface. No software installation is needed since the PC interface is 100% web-browser based. Omron Microscan's smarter smart camera platform, MicroHAWK®, is unveiled for the first time at The Vision Show 2016 in Boston, MA. 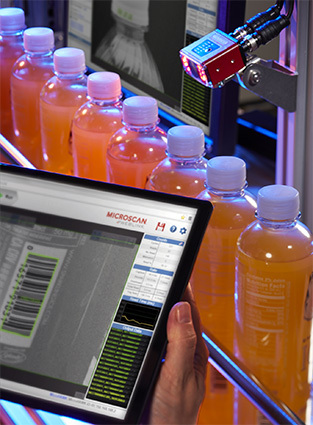 MicroHAWK combines advanced barcode reading up to complex machine vision inspection all on the world's smallest smart cameras available, ideal for embedded applications in OEM for factory automation and clinical instrumentation. MicroHAWK was a key player in the Peru presidential election, as shown in this high-speed reading application. We worked with a customer to establish a system where several MicroHAWK Barcode Readers are being used side by side to read codes on ballots for the election. This video illustrates the readers and WebLink software, which allow multiple devices to be configured live and side by side without special software. This is the first in a series of 10-minute videos to introduce new users to the basics of machine vision technology. In this video, users will learn what machine vision is, how it is used in factory automation, and its four most common applications. Introduction to Machine Vision Part 2: Why Use Machine Vision? The second installment in Omron Microscan's Introduction to Machine Vision series: Why Use Machine Vision? This video overviews how machine vision can save money and increase profitability for inspection applications. 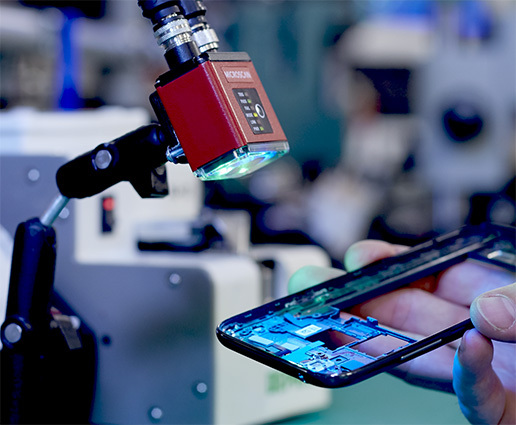 Machine vision inspection can reduce product defects, increase yields, track parts and products through production, and facilitating compliance with regulations. What are the components that make up a machine vision system? How do they work together in a production environment? In the third video of this introductory series, we discuss the five key components that make up a vision system: lighting, lens, sensor, vision processing and communication, and the impact that each of these can have on your application. Standard configurations above. Customize MV-20 on the Partner Portal. Note: Above MV-20 models include 6ft USB 2.0 power cable. Standard configurations above. Customize MV-30 on the Partner Portal. Standard configurations above. Customize MV-40 on the Partner Portal.